Plan: I always wanted to shoot the squirrel for they are fun to watch. The issue is they are too fast and would not really pose. 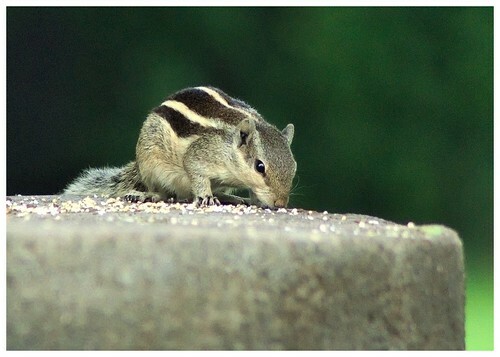 Story: One sunday afternoon I went to the park and found that these squirrels were feeding on the grains and were coming and waiting at one location for quite a while. So decided to sit on the nearby bench and took few shots @300mm. Learning: In sony I had good advantage about shooting in live view and the AF is really fast. So I kept the cam in my lap and took this shot.